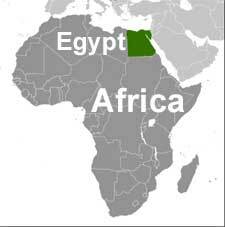 Egypt, officially the “Arab Republic of Egypt” is a sovereign country located in the Northeast African corner and Southwest corner of Asia. The country joins the two continents by a natural land bridge called the “Sinai Peninsula”. The country has a strong strategic and geopolitical position in the world and is one of the most powerful and a leading country in the Muslim world. The country has also one of the richest ancient and cultural heritage, being home to various ancient sites, most notably the “Pyramids of Giza”. The country also has the second largest economy in the African region. 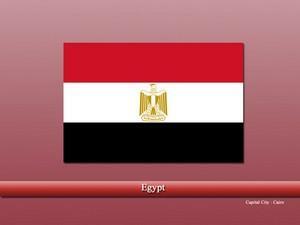 Moreover, Egypt is a founding member of the United Nations, Arab League and Organization of Islamic Cooperation. The history of Egypt is one of the oldest in the world dating back to approx. 10000BC. It is estimated that the earliest people settled near the Nile river and started agricultural activities. As the time passed, various kingdoms and civilizations flourished in Egypt and the region became one of the first to do research, create ancient marvels and structures, and develop in literature, philosophy, writing, science, etc. This is the reason the region is regarded as the “Cradle of Civilizations”. The Pyramids were created during the “Old Kingdom Period”. The Persians also ruled the region for a brief period of time which were replaced by the Romans and afterward the Byzantines. Finally, by the 7th century, Muslims armies began to arrive and conquered entire the Middle East and North Africa. Since then, Islam is the predominant religion of the country and is thriving in the country since. The Muslims shaped the architect and culture of Egypt and built several mosques, etc. that can still be seen today. Afterward, Egypt was ruled by different Muslim empires like Abbasid dynasty, Fatimid Caliphate, Mamluks, the Ottomans and at last by the Muhammad Ali Dynasty. Some of the Muslims wonders of that time include “Mosque of Amr ibn al-As (built in the 7th century), “Mosque of Ibn Tulun” (built in the 9th century) and many more. Muhammad Ali Dynasty was the last dynasty that ruled Egypt until 1952 when it was overthrown. After the independence was achieved, the country engaged in wars with neighboring Israel, the last of them was the “Yom Kippur War” in which Egypt stunned the whole world due by the combat tactics and efficiency used by the Egyptian Army and this event forced Israel to negotiate a peace treaty with the Arab world. Most of Egypt’s covered land features deserts and the Rocky Mountains. This is the reason the majority of the country’s population is situated along the “Nile River” or “Nile Delta” from the ancient times till today. Bordering countries of Egypt include Sudan towards the South, Gaza Strip and Israel towards the Northwest, while Libya lies toward its South. The famous waterway, which is known as the “Suez Canal” is also situated in Egypt which shortens the sea distance of approx. 6,000 kilometers. Egypt has a diversified economy, depending on various sectors. Agriculture, industries, services, petroleum, international remittances, and various other sectors keep the economy running. The economy is also growing at a swift pace and is considered to be one of the largest economies of the future. Suez Canal also helps in bringing a large amount of income as thousands of ships pass through the Canal each year. Ethnic Egyptians are the largest ethnic group in the country. Other minorities such as Turks, Greeks, etc. are also living in the country. Also, there are millions of Syrians, Sudanese, Eritrean, etc. (refugees) living in the country. Arabic is the official and by far the largest language of the country. Islam is the predominant religion of the country followed by a countable minority of Christians. Vastu consultant in Delhi NCR? How to earn money fast through vastu tips?